This past weekend, the head of Roscosmos announced plans to build a new orbital space station in partnership with NASA to replace the aging International Space Station. Too bad it isn't true. This now appears to be a classic case of wishful thinking getting the better of someone, in this case Igor Komarov. His NASA counterpart, Charles Bolden, is currently visiting Russia, and he apparently said something that gave the Russians the impression they had reached some sort of agreement to put a new space station up in orbit by the time the ISS is retired in 2024. "Roscosmos and NASA will fulfill the program of building a future orbital station," noted Komarov at a briefing at the Baikonur Cosmodrome. "We will elaborate the details. It is going to be an open project, not restricted only to current participants, but open for other countries willing to join it." 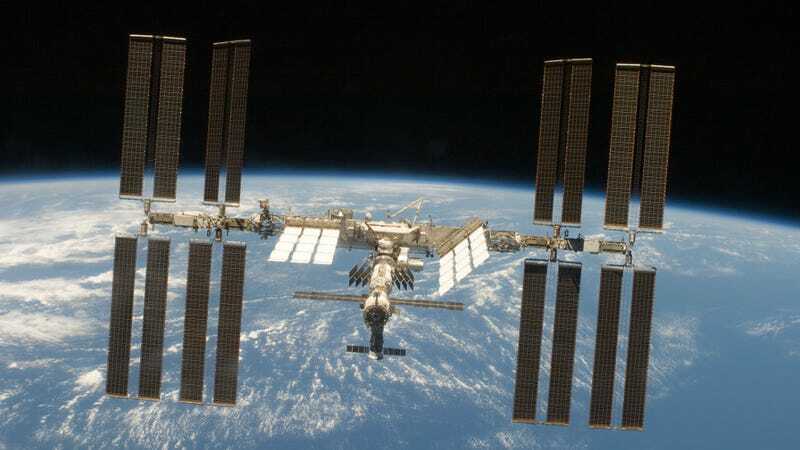 "We are pleased Roscosmos wants to continue full use of the International Space Station through 2024 — a priority of ours — and expressed interest in continuing international cooperation for human space exploration beyond that," [NASA's David] Weaver said. Weaver added that the US was interested in international cooperation to support the agency's long-term goal of human mission to Mars in the 2030s. He did not directly address Komarov's comments, but said NASA's current emphasis was on operations of the ISS. "Today we remain focused on full use of our current science laboratory in orbit and research from the exciting one-year mission astronaut Scott Kelly just began, which will help prepare us for longer duration spaceflight," he said, referring to the NASA astronaut who launched on a Soyuz from Baikonur March 27 for a one-year stay on the station. As it stands, NASA has indicated that it will likely work with the private sector to develop future space-based facilities. At the same time, Russia is planning to separate its modules from the ISS to form the starting piece of its own space station — a pending strategy that appears to have escaped the notice of Komarov.